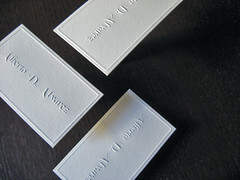 Raised text turns a simple design into an elegant card. 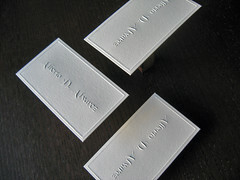 At first glance you might wonder why we would spend the time to post these cards on the blog today. 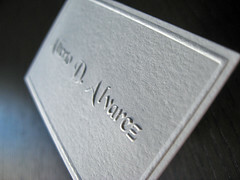 We had only one motive behind photographing these personal calling cards, the embossed text looks amazing. 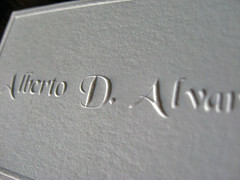 Now embossing isn’t anything new (to us or the design community) but it is definitely different. See all of the photos and more information about the process after the break. 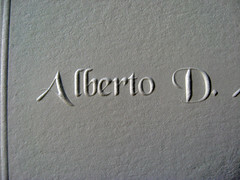 We’ve printed several sets of cards for Alberto – some new ones coming soon! 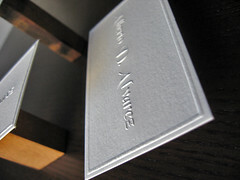 – but for this set he wanted a personal card to hand out to everyone besides prospective clients. 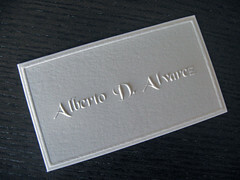 Alberto supplied the design and we made some tweaks (added strokes to text and increased spacing) to make it compatible with the embossing process. 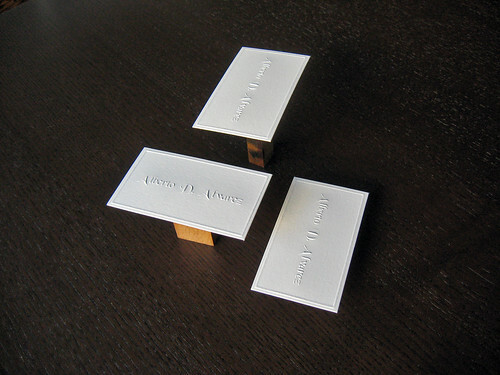 With the exception of the border and his name, the cards were left blank so that he could write whatever information he wanted on them. 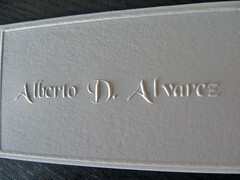 We used Crane’s Lettra in the 110lb weight option, the thinner of the two, because embossing on thick stock doesn’t work with the thin lines in Alberto’s font. 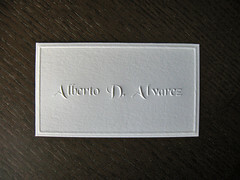 The design is pretty straightforward: his name centered on the card with a border set close to the edge of the card. 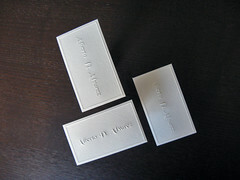 We used a 1/4″ copper die with a fiberglass counter to print the cards. 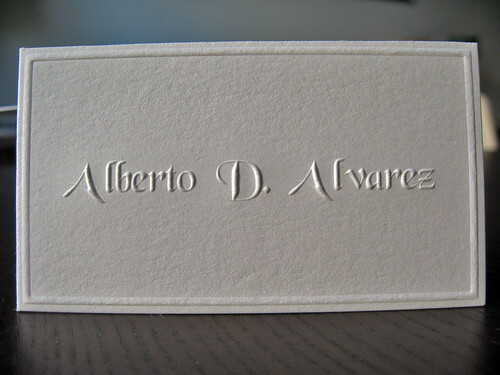 Because they were embossed and had a tight border, we opted for die cutting them even though the final size was standard (3.5″ x 2″). 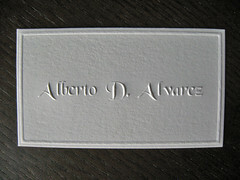 Embossing is a great process! 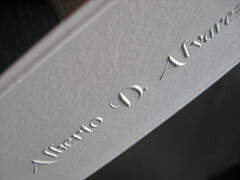 If you’ve got a project involving it or want to know more about it email us at contact@dolcepress.com for a quote and turn-around time.